Both members of the Resistance living in Nazi-occupied Paris, Marguerite is desperate for news of her husband Robert Antelme, who has been arrested by the Germans and sent to Dachau concentration camp. 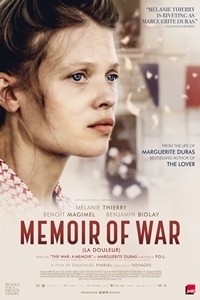 In exchange for information, Marguerite enters into a high-risk game of psychological cat and mouse with French Nazi collaborator Rabier (Benoît Magimel). But as the months wear on without word of the man she loves, Marguerite must begin the process of confronting the unimaginable. Through subtly expressionistic images and voiceover passages of Duras's writing, Finkiel evokes the inner world of one of the 20th century's most revolutionary writers.